After discovering the graphs in Legacy’s Statistics section, I decided to have a look around in Legacy to see what other features there might be that I haven’t yet used. 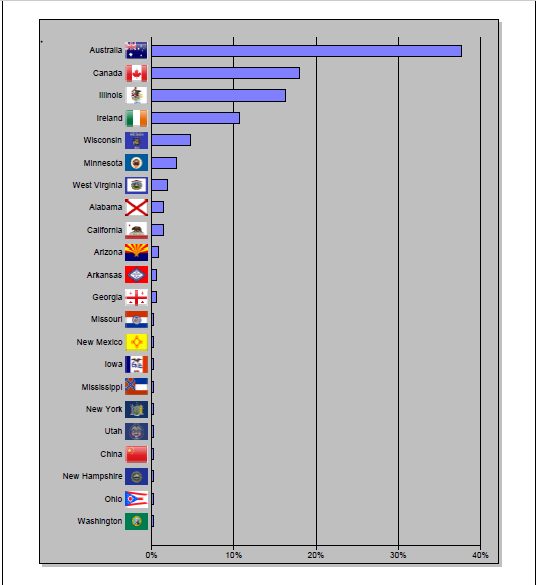 Recently, there were a number of birthplace charts going around, and in my post I decided to include a chart for where my ancestors were born. 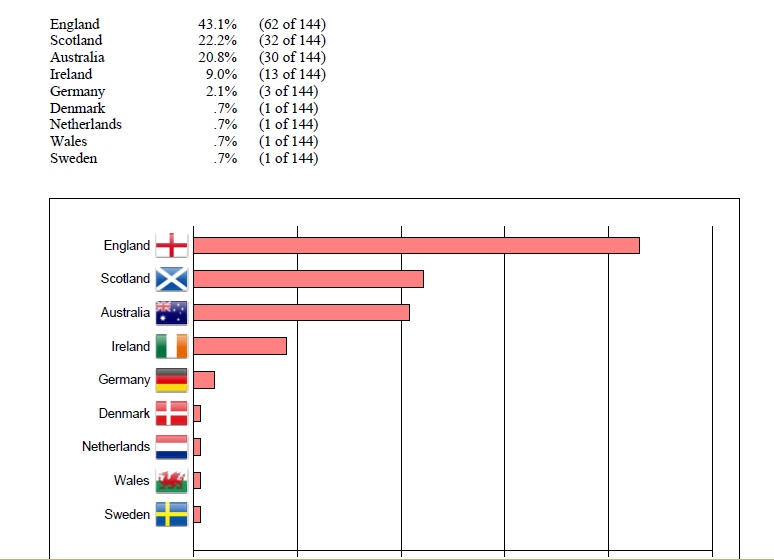 Turns out there’s a report in Legacy that does the same thing – the Origins report (although doing the report in Excel, I was able to use any type of chart I wanted, and I chose a pie chart). This is the report going back 8 generations from my daughter. 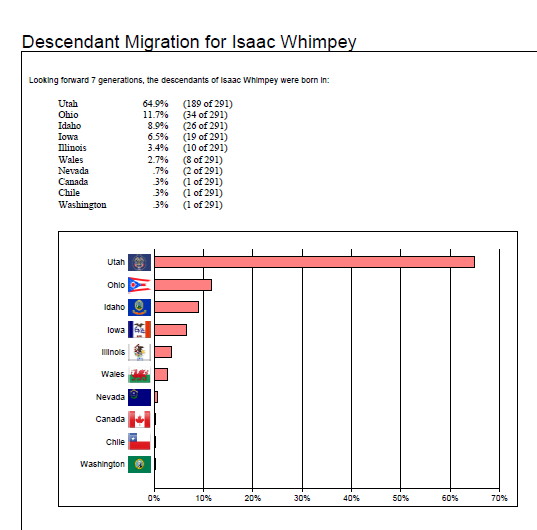 Another report in Legacy is the Migration report. 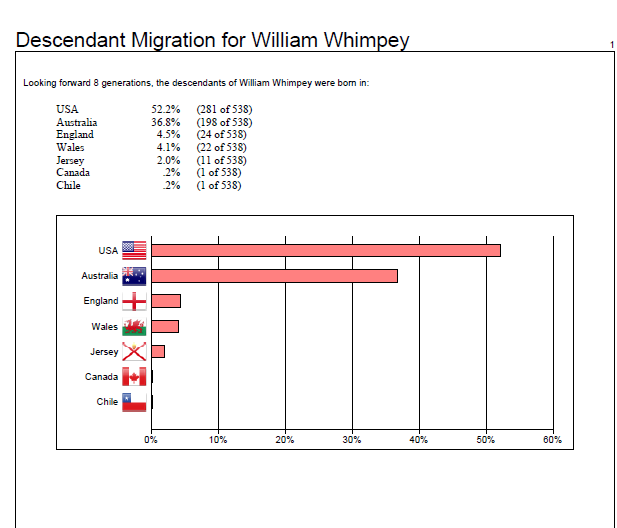 My branch of the family isn’t very exciting because they had lived in the same location in Europe for generations, and then once they came to Victoria, they stayed, so I chose my 3x great grandfather William Whimpey, as two of his sons came here to Australia, one went to the United States, and the rest of the family stayed in the United Kingdom. These reports do have the options to change the color schemes. 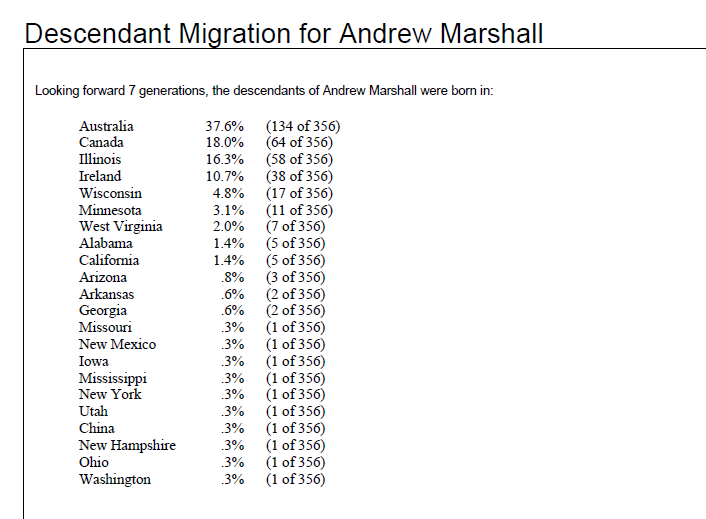 I decided to do another report for one of my children’s ancestors, Andrew Marshall, this time changing the background in the chart to gray, and the bars to blue.